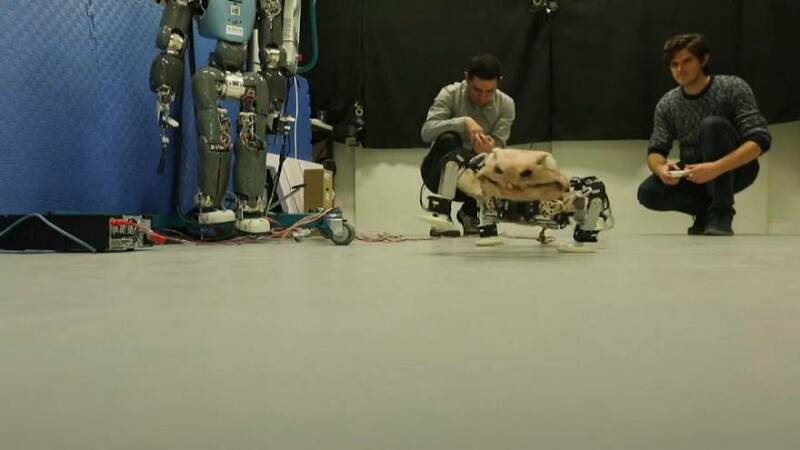 Researchers in Berlin have created a robot to simulate how an ancient land mammal walked. They used a 290 million-year-old fossil of an Orobates Pabsti as well as fossilised footprints. The data helped recreate the movement of the creature, which researchers believe is a "stem amniote" - a likely ancestor of several groups of land-dwelling animals that later differentiated into modern mammals, birds and reptiles. "You have to know that this fossil, Orobates, is a key fossil for the understanding of land vertebrate animals. All mammals and all reptiles, including all extinct dinosaurs and today's birds, they all originate from one common ancestor. And this fossil is a close relative, a close cousin if you like, of that last common ancestor of this large and successful group of land vertebrate animals. When we learn something about this fossil, then we will learn something about the origin of this large group of animals."